I wanted to share with you some exciting developments that have already come along in this brand new year. Back in the Spring of '09, the work I was doing in Milwaukee was covered on NPR. 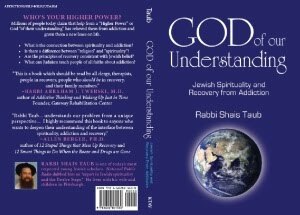 At the end of the interview, I mentioned that I was writing a book on Jewish spirituality and the Twelve Steps which I really was. I just hadn't started actually writing it yet. So, I emailed our very own IOCC Blog editor, Gwen R., and asked her if I could use the blog as a forum to start pounding out some of my ideas. Here's a post from this blog from 3.23.09. This post actually became part of a central part of my book which contains several chapters explaining the implicit theology of the Twelve Steps. Anyway, I just received the proofs for the cover. This is not necessarily a final draft but it's cool to see. Thank you all so much for reading and literally PULLING the creativity out of me. Writing this book has been a tremendous opportunity to be of service and I have already benefitted so much, thank G-d, from it all.